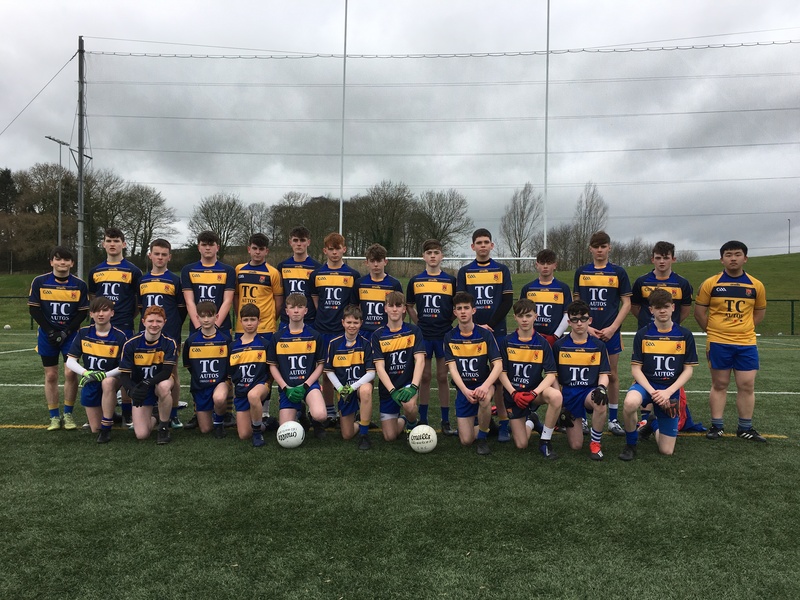 SACRED Heart College Omagh joined Virginia from Cavan in the final of the Danske Bank Paddy O’Hara Cup after an exciting semi-final in Strabane yesterday. The strong diagonal breeze counldn’t take away from the quality of the football on show as the two teams exchanged the lead on several occasions before a strong finish from the Omagh side saw them power home. St Columb’s went into an early 0-3 to 0-1 lead before Tadhg Cunningham buried a goal for Omagh. Minutes later Caolan Hargan did the same at the other end of the field and 19 minutes in Cunningham won back the lead for Omagh with a neat finish to the left corner. Omagh turned over with a 2-4 to 1-5 lead, but St Columb’s dominated the third quarter and a goal each for Ruairí Cutliffe and Jude Collins gave them a six points lead after 43 minutes. Ciaran McArdle dragged Omagh back into contention with four points in a row and Tiarnan Campbell levelled the scores at 3-6 to 2-9. Omagh had their tails up by this stage and finished strongly with Cunningham completing his hat-trick and late points from Shane McCaul, Shane McKenna and excellent midfielder Pearse Goan putting them into the final after the Easter break. In an entertaining game, Goan, McArdle and Cunningham were very prominent for Omagh, with Cathair Conway, Jack Gallagher and Tirynn Mullan working hard in defence, while for St Columb’s Caolán Hargan, Éamon óg Feeney, Odhrán O’Kane and goalie Tiarnan Hutton stood out.